UNFAIRY TALES is a collection of animated stories exploring the plight of Syrian refugees. Produced for UNICEF, the website contains three sections: Malak and the Boat, Mustafa Goes for a Walk, and The Story of Ivine and Pillow. In addition, videos show the children telling their stories. 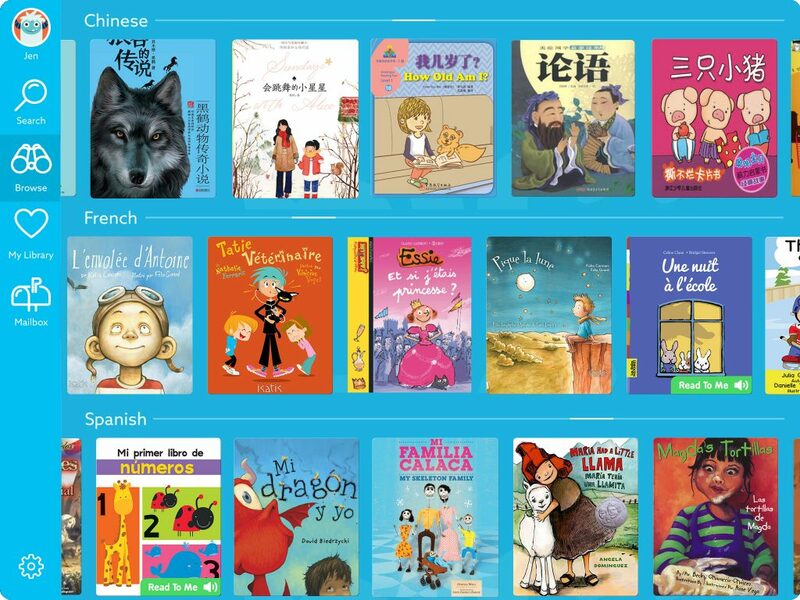 Librarians will find this website to be useful in talking with children about issues regarding child refugees. Students will be particularly interested in how the children narrated the stories themselves. To visit the website, go to https://www.unicef.org/em…/childrenonthemove/unfairytales/en. "When schools replace the term "drop out" and instead refer to "push out," they acknowledge the factors that contribute to a student's decision to leave school. They also recognize how certain practices may perpetuate systematic inequities in terms of a student's race, class, or gender. Experts like author Monique Morris argue that counteracting the pushout problem requires healing, relationship-focused classrooms that provide an unbiased and inclusive curriculum and show students the path from where they are to career and college ambitions. " Students interested in science concepts such as robotics and bioengineering have a new, free online game at their disposal. Arizona State University researchers have released Frankenstein200, a game that uses Mary Shelley’s tale of scientific hubris to get children thinking about such ideas as robotics, bioengineering, and humans’ reasons for creating. In the game, students immerse themselves in an online story about what might happen if Tori Frankenstein, a descendant of Victor, picked up where her ancestor left off. The game takes players into Frankenstein’s high-tech Laboratory for Innovation and Fantastical Exploration (LIFE) and invites them to help two young researchers as the daring—and sinister—scientist confronts a scientific mystery. Students watch videos and get emails from characters, following them into hidden realms of science and making shocking and increasingly complex discoveries. Along the way, students can take quizzes, do puzzles, and play games. At-home activities take the game’s questions off the computer and into the real world. The game raises many questions about scientific ethics and responsibility. It includes lessons about topics such as DNA, electricity, and artificial intelligence. 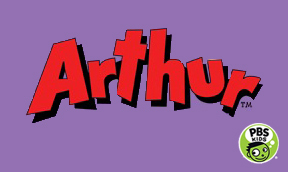 The game takes 30 days to play and is recommended for children aged 10–14. 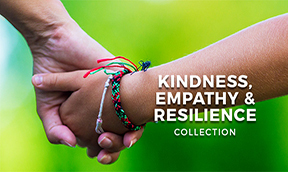 Plus: The National Informal STEM Education Network (NISE) has made available a freely downloadable Frankenstein200 kit with seven hands-on activities that encourage creativity and reflection about responsible innovation. These activities are suitable for use in informal learning settings, such as libraries and afterschool programs. They do not require special lab facilities or equipment. The hands-on activities use the Frankenstein story to inspire deeper conversations about scientific and technological creativity and social responsibility. The activities have been tested with public audiences and reviewed by experts. NISE also offers professional development materials, including guides and videos. 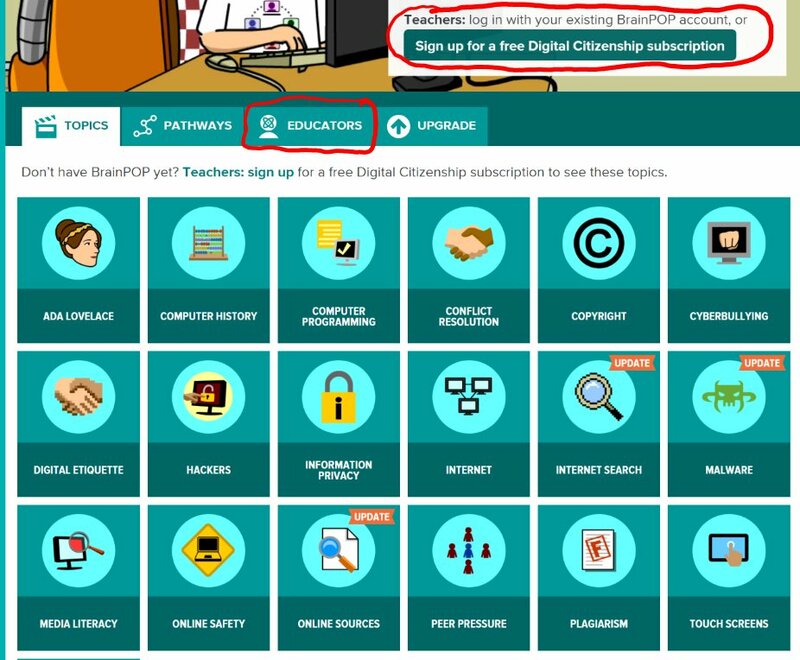 Did you know you can access @brainpop #digcit resources even if you don't have a school subscription! @OmahaPubSchool Ts this is a great add on to @CommonSenseEd lessons. Thank you to Eileen Heller for sharing! Unlike shared reading—where students have text copies in hand and the reading is frequently interrupted for instruction or skill practice—a classroom read aloud involves one person (often a teacher) reading and pausing minimally to clarify a tricky term, make a connection, or ask questions related to a big idea. Most people have experienced a read aloud through a picture book or a novel, but any interesting text can be read aloud for a variety of objectives. Teachers can use read alouds to create a class bond; promote a love of reading; preview information, themes, or text structures; model effective reading; show how texts connect with one another (intertextuality); or provide an exemplar for a genre of writing. The read aloud is like the Swiss Army knife of literacy; it has multiple uses at every age and in every content area. Read alouds provide a scaffold to the reading and writing that students do on their own, adds Barbara Moss, a literacy expert and education professor at San Diego State University. And data show that children of any age who regularly have books read to them score higher on state and national literacy tests. DOGO [doh-GOH] means young or small in Swahili. While our young fans may be small, they act BIG as they engage with our websites and express their opinions on the content that interests and inspires them. DOGOnews.com - The leading source for current events, news and non-fictional content for Common Core ELA, Science and Social Studies. With thousands of news articles and new original content added daily, we are the leading online source of current events for students, teachers and schools. Thanks for joining Newsela! We'll help your students become stronger readers and get them started reading articles immediately. Follow the steps below to get started. Registering for Newsela allows you to create classes, assign articles, and track your students' progress. Click Yes if you are a faculty member at a K-12 school, higher ed institution, or adult ed school or No if you aren't. NOTE: You must use a valid school email address to sign up with Newsela. Option 1: Sign up with Newsela. a. Enter your first and last name, valid school email address, and a password. Option 2: Sign up with Google. a. Choose your school and click Confirm School. b. If you do not see your school, enter the school name, address, city, state, or ZIP. a. Select your role and country from the drop-down menus. b. Enter your ZIP code. Verify your email address to begin using Newsela. To change your email address or if you need another verification email, use the links on the verification page. To manage your students, articles, and quizzes, create classes and add students to each class. NOTE: When you register for Newsela, you are prompted to create your first class. You can edit or delete this class later. Google Classroom Users: DO NOT create classes in Newsela, import your Google Classrooms to Newsela. Hover over your name on the Search and Navigation bar at the top and choose CLASSES. Type your class name, select a grade, then click Add Class. Share the Class Link or Class Code with your students. Each class has a customized Quick Start Guide that tells students how to join your class. Click the Quick Start Guide icon on your Classes page to access the customized guide and share it with your students. NOTE: Teachers can't add students to a class. For additional help getting your students started, see Quick Start Guide for Students. Newsela adds new articles each day that can be assigned to your students. Click LIBRARY or NEWS on the Search and Navigation bar at the top. Browse the Latest News articles or use the NARROW YOUR CHOICES options to view articles for a specific grade, reading standard, publication, or language. Click the article you want to assign. Click Assign at the top left and select a class. If you are a Newsela member, type instructions for your students. Newsela has two advanced features for Newsela educators that help your students get the most out of the articles you assign. See What's Next below for more information on these features. Tip: The Annotation feature allows educators to add annotations to articles that are visible to their students. Students can then reply to the annotations.